Instead of or in addition to setting a recording using MythTV, follow your shows on tvmaze.com to have them recorded. 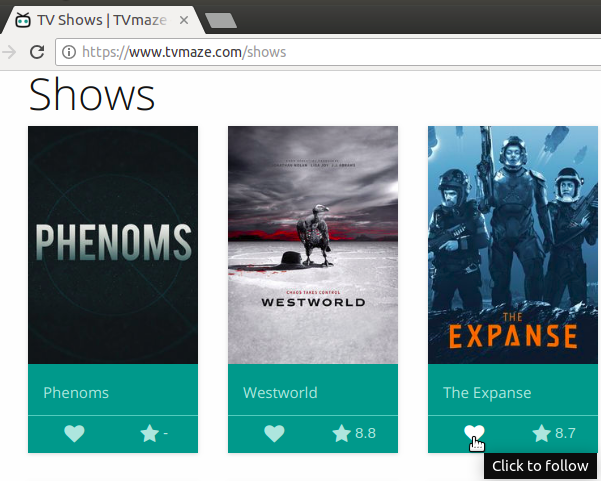 A free account on tvmaze.com is required. The program checks the ical feed for the next seven days. It then downloads guide data for the current day each time it is run and the next six days only if there is a change in the ical feed for those days. It supports multiple ical tokens, so everyone in the house can have their own TVmaze account. Changing the MythTV xmltvid values is not required. 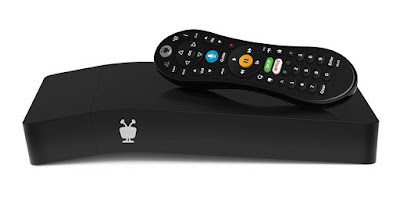 Mythrecmaze is compatible with other guide sources if the guide entries inserted from Tvmaze matching the recordings are not overwritten by the other guide source. This program currently works in the USA only, but this could easily be changed. Mythrecmaze has been tested using Mythbuntu 16.04 with MythTV 28 and 29. Version 20160802 is the last release to support MythTV 27. If mythrecmaze has previously been installed, delete the file named "mythrecmaze.cfg." Navigate to https://github.com/heyted/mythrecmaze/releases, and select the latest version. Download and extract the files to your home folder. If you start the PC daily, edit the MythTV autostart command using the line in autostart.txt, or run the program using some other method. Guide source option 1: Edit the xmltvid values in the channel information section of mythweb/settings to match TVmaze id values. The xmltvid values for a guide source other than using TVmaze as a guide source should already be configured, and there should be an xmltvid for each channel. Create a text file named “xmltvidmap.csv” which will match your xmltvid values to the corresponding TVmaze id values. If xmltvidmap.csv does not exist, option one must be used. If it does exist, option two must be used. Place xmltvidmap.csv in your home folder. Each line in the text file must have two entries separated by a comma. Do not have any blank lines between the entries. The first entry must match the current MythTV xmltvid value (not necessarily a number) and correspond to the TVmaze id number as the second entry. An example xmltvidmap.csv is shown below. A few example lines are shown, and a typical file will have many more.